Gate Street, also known as Kadena Gate 2 Street, connects the Kadena Air Base Gate 2 to Route 330. 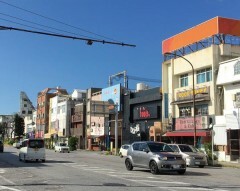 The street used to be one of the busiest shopping streets in Okinawa City, but is now best known for Koza Music Town that is located at the intersection of the Gate Street and Route 330. As a reminder of the past, non-Japanese merchants still own most shops along the street. 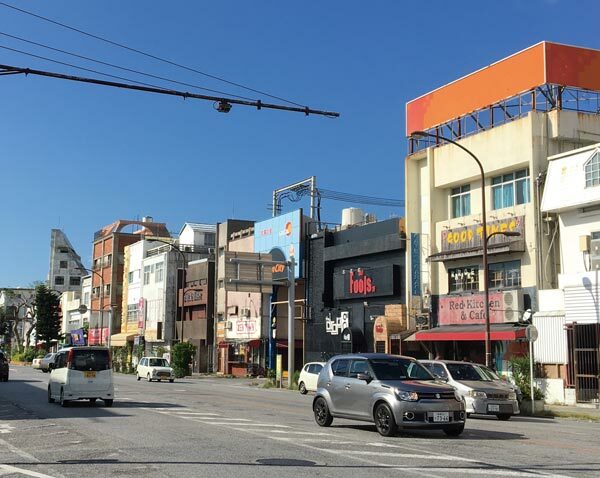 During the 1960s to late 70s, the street had many bars and clubs, and there still are many colorful English language sings on the walls of older buildings on the street that almost make one feel like not walking in a Japanese city. There are some bars left on the street, but in addition, there are now clothing stores, restaurants and shops selling general merchandise. In many shops it’s possible to find something not available elsewhere in Japan.